Harden's Guides have been compiling reviews of the best restaurants in Chiswick since 1998. Hardens guides have spent 25 years compiling reviews of the best Chiswick restaurants. 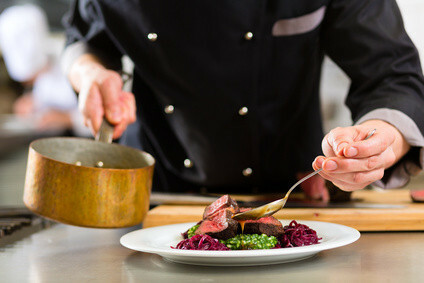 On Hardens.com you'll find details and reviews of 32 restaurants in Chiswick and our unique survey based approach to rating and reviewing Chiswick restaurants gives you the best insight into the top restaurants in every area and of every type of cuisine. “The kind of restaurant that sets the gold standard” – this “classy and understated” neighbourhood star has an obscure location in a Chiswick side street and echoes the “unshowy” excellence of its stablemate Chez Bruce, “delivering the goods year on year”. “Novel, vibrant and exciting cooking still thrills and surprises” and service, likewise, “is outstanding – you never feel like a waiter is looking over your shoulder but the staff are attentive to everything”. The persnickety feel that the interior is maybe a mite “clinical”, but most reporters feel “the surroundings are lovely”, “all very relaxed”, cosseted by “the hum of happy diners”. 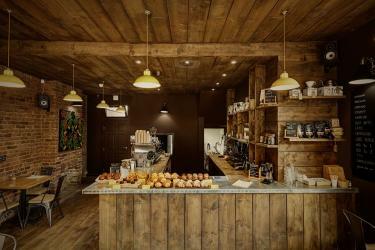 “A bizarre combination of (superb) flat whites and empañadas… it somehow works!” – say devotees of this coffee bar on Chiswick’s “lovely Devonshire Road”. This “quality coffee joint” has “great snacks” and “plenty of papers to while away a Saturday morning”. 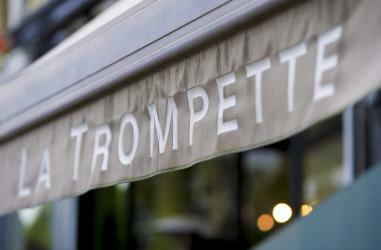 Featuring “good, Latin-influenced cuisine from a small menu”, this “unpretentious” local is “one of the best in Chiswick”. The experience is “made more special by owner Leo Pacarada and his staff, who could not be more obliging”, and it “holds its own despite being opposite La Trompette!”. That it “tries hard” and “is a bit overdone on the decor” (“interesting art” on the walls) is mainly seen as a positive for this “lovely” and “upscale” Chiswick venture, operated by a 500-year-old Chianti dynasty as a showcase for Tuscan cuisine and wine. The cooking is consistently well-rated and the wine list includes “bottles from their own estate at exceptional prices”. There’s a 50-seater terrace for al fresco summer dining. Ex-solicitor, Mikael Jonsson’s “idiosyncratic” passion-project in deepest Chiswick continues to inspire controversy amongst its large following. No-one is too fussed that the interior is “clinical, with harsh light”: it’s the hit to the wallet that elicits grief, with many critics apt to rate the food highly, but still cavil at the “outrageous prices”. Its disciples, though, are “captivated” and feel “the enormous bill is entirely fair” given the “stunning” ingredients (“some not seen elsewhere”), and the “mouthwateringly wonderful”, “constantly evolving” and “exciting” cuisine (“only on offer as tasting menus, but with each course a surprise and delight”). In their view: “at one Michelin star this restaurant is under-rated” – “the food level sometimes touches a three-star, but is certainly two-star and way better than just the one!” Top Menu Tip: don’t miss the bread. “You’d think you were in a modern version of a Belle Epoque Parisian bistro” at this “classic French” outfit by Acton Green. “It specialises in delicious dishes made with Vacherin cheese – but there’s much more to choose from”. After 15 years, a major refurb is planned for early 2019. Michael Nadra makes “a talented and charming chef/patron” and his duo of neighbourhood restaurants – in Chiswick and Camden Town (right next to the Regent’s Canal) – both provide a “welcoming” venue and “surprisingly good value for sophisticated modern French cooking”. On the downside, both inhabit awkward sites – NW1 is “cavernous” and slightly “remote”, while W4 is low-ceilinged and tightly packed. This pair of “super-reliable locals” near the Thames in Barnes and Strand-on-the-Green, are “just all-round great places for lazy lunch and intimate dinner”. “Top service from a very friendly crew” ensures that you “feel very welcome”, and “portions are large and full of flavour”. These are the top restaurants in Chiswick based on reviews by Hardens users.